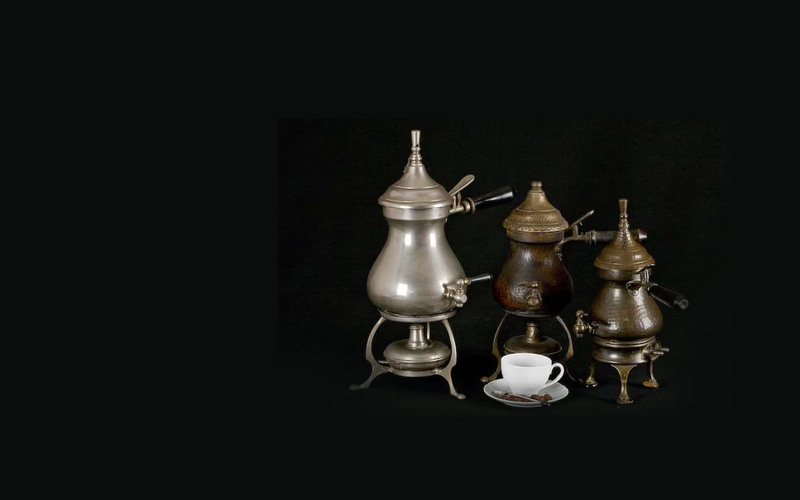 Group of Turkish and Syrian ‘coffee pots’, shaped either like a truncated cone with a long transversal handle or a bulb with a curved handle and characteristically spout-shaped tube. As of the 16th century, coffee was prepared by boiling water and ground coffee several times together in its countries of origin. Refined workmanship for this Dutch samovar in enamelled pewter. Ground coffee and water were boiled together using the spirit burner at the base. The tap for pouring out the coffee is higher than the base of the coffee pot where the grounds deposited. Coffee arrived in Europe from the Middle East in the 17th century and home preparation mirrored that of the countries of origin. However, tinplate coffee pots or more refined copper, brass, pewter or silver samovars were used. 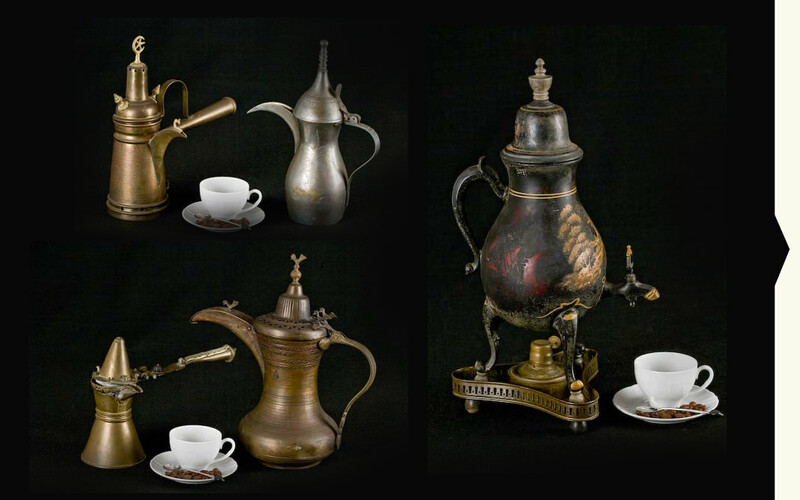 At the beginning of the 20th century, the English Caffeta reproposed Turkish style coffee preparation. New accessories were added to the old coffee makers, such as the spirit burner (or electrical resistance), a whistle to signal when the water was boiling, an internal grid filter for holding the grounds and a tap for pouring the coffee into the cup.